Walking is something most of us do every day without even thinking about it but in modern times it is so easy to jump into your car when, often with a little bit of thought and time, we could walk to the shops, doctors, school or even to work instead. Until recently walking had gone out of fashion but it is making a comeback as people realise that walking is a good and easy way to get fit and stay fit. No need for the gym just walk to a friend’s house leaving your car on the drive. Or get that rusty bike out of the shed. You know the drill. Now I must practice what I preach so this year I have again signed up for the the 5×50 Challenge. 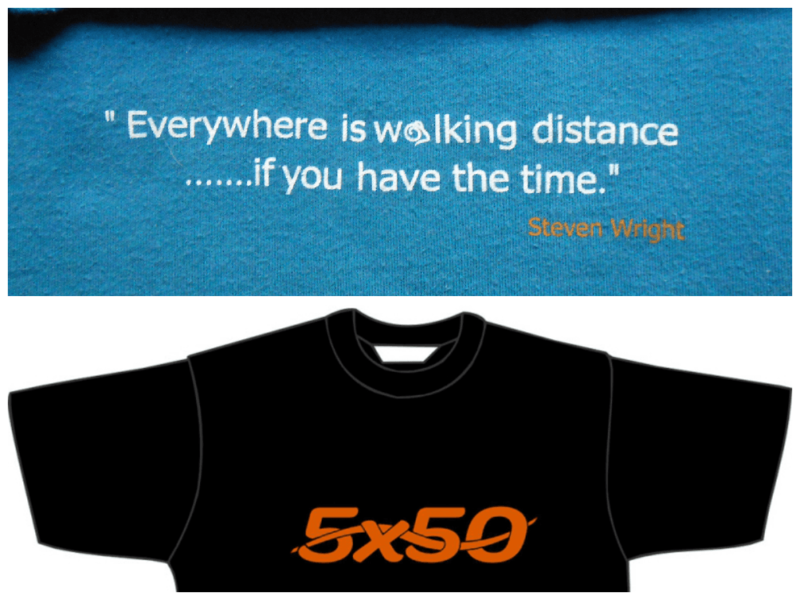 5×50 a great way to exercise and raise money for worthy causes at the same time. More power to your elbow Phil! Regards and good luck from rainy London, Paul. Thanks Paul and watch out for Team 5×50 Andalusia and Beyond. 1,473.16km clocked up in the first 18 days!